The city (Boston) is known for being vibrant, sleepless, up all night, and hot hot hot but the suburbs get the reputation of being sleepy and void of hipness. Lately though, while city folks are doing their thing, the suburbs have been quietly upping their game. Gone are the days of a 3 hour wait to get into Chili’s in Burlington. The culinary and cocktail landscape of the ‘burbs is changing and now you can go into the city or drive out to the suburbs for a great night out. When it comes to Valentine’s Day, the suburbs can hold there own and then some. The advantage of easy parking, less travel time, a little more space so you’re not on top of the couple next to you whose romantic night out has gone awry are not lost on me. 1 -Brand spanking new and ready for action is Great Road Kitchen in Littleton. An Oyster Bar in the ‘burbs is something I will take a road trip for. With Chef Chris Frothingham at the helm, a well rounded menu of a raw bar, the comfort of hand made pasta, familiar chowders and chilis with a Frothingham twist are mixed in with more unique shaved cauliflower bowls and bacon wrapped sardines. There are sliders and steak frites and a selection of tacos as well as a drool-worthy list of sides to share with your sweetheart. Surprise your true love after dinner with the gift of one of Great Road Kitchen’s wine workshops or cooking classes. 2- AKA Bistro is a well established spot in Lincoln with an interesting concept that just works. A combination, not be confused with a fusion, of both French and Japanese cuisine is only one part of what makes AKA Bistro stand out. What really makes it stand out is the food itself. I wanted to tell you all about the fabulous outdoor fondue (because how romantic is that?!) but it turns out we missed it. You’ll have to save the date for next year. The good news is that you have a choice of the 5 course Valentine’s day prix fixe which can be previewed on Friday, February 12th, will be served exclusively on Saturday, February 13th and for dinner on Sunday, February 14th. If a 5 course prix fixe menu isn’t your thing, then I highly recommend the Sunday brunch. 3- Sometimes simple is best. It doesn’t matter if you’re on the same budget you were on in your babysitting days or not, channel your high school date night days and go for pizza and ice cream. Concord has some hot new spots like Salt Box Kitchen (which I’ve admittedly fallen head over heals for) and Woods Hill Table, but there is something simple and sweet about a paper plate and napkin date night out too. For the throwback date, head to Sorrento’s for a slice (or a salad if you need a little extra room for ice cream) and then pop over to Bedford Farms right next door for some of the best ice cream around. 4- If you’re feeling less nostalgic and want something a bit more refined, but comfortably cool, then head over to 3rd Avenue in Burlington and find a seat in the dining room or bar/lounge at The Bancroft. The Bancroft’s space is stunning and both the food and cocktails are not just “good for the suburbs” but they’re really good period. I first fell in love with the space, then the food, and then the cocktails. I went for lunch with friends and wasn’t up for a cocktail, but my friends had some fabulous house made sodas. I went back and had a cocktail the second time and was sold on all fronts. 5 – The most romantic language has to be Italian. I love to listen to it being spoken and it’s even better to watch an Italian conversation because it’s a language spoken with the whole body. Il Casale in Lexington speaks the language of pasta and vino and amore. With deep roots in Italy, the Il Casale family brings a taste of home to their kitchens as well as some very unique wines thanks to their connections to their hometown of Candida in the Irpinia region of Campania. Chef Dante and his brothers together with their father Leon de Magistris, they have tasted wines and brokered deals with vintners that allow them to have wine not otherwise available in the US. If you treat yourself and your spouse to a family style dinner of the Fiat ($45/person) or a Ferrari ($65/person) you’ll get a taste of what the chefs can really treating you to their most inspired dishes as well as heartwarming bites of century old recipes from Chef Dante’s Nonna that have been handed down through the generations. 6- If you follow I @#$%ing Love Science then you appreciate what it means to have a crush on the how, what and why of things. 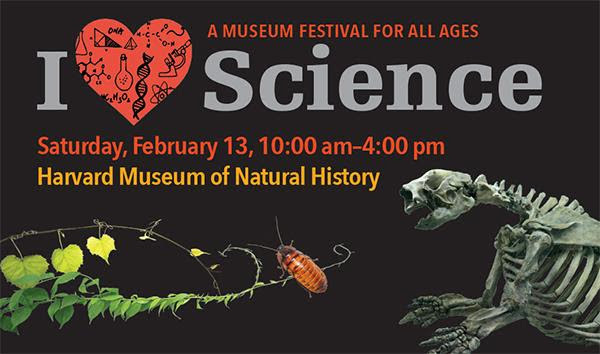 On Saturday, February 13th, from 10 a.m. to 4:00 p.m. the Harvard Museum of Natural History will satiate your love for science. Bring a shell or mineral in to be identified by the Boston Mineral Club, build lego habitats and get lost in one another’s love and love for science. A full list of events and activities can be seen here. Regular museum admission rates apply and free parking is available at the 52 Oxford Street Garage. 7 – The South End in Boston is not exactly the suburbs, in fact sometimes it feels like it has become the romantic heart of the city itself with galleries, off the chain dining in cozy little restaurants, some of the prettiest urban sunsets to post on your instagram. Escape to Paris at the Gaslight Brasserie due Coin without leaving the city. Now Gaslight has found a second little “coin” in the suburbs. Gaslight is now open at MarketStreet in Lynnfield. Open for dinner, brunch and lunch you can choose to celebrate Valentine’s day with a duck croque madame and caramelized banana crêpes with almond-lemon cream or Burgandy style escargots and a bone-in sirloin with Bordelaise and whipped golden potatoes. 8-The ‘dinner and a movie’ of your teenage days is all grown up now when you go to the Showcase Super Lux at The Street in Chestnut Hill. Get together with your friends and go see How To Be Single while enjoying dinner at the movies. There is nothing like sharing a laugh with a loved one so Valentine’s Day on the ridiculous runway with Zoolander 2 will be just the ticket if you both need a good laugh. The in-theatre dining experience includes a wine list, draft and bottled beers as well as a few signature cocktails. On the dinner menu are sandwiches and salads as well as a few bar bites. 9-Every relationship needs a little shake up sometimes so why not step outside the box together and pick up a paintbrush. If it turns out that art isn’t your thing there will be bubbly beverages to help soften the blow. Muse Paint Bar in Assembly Row has space in their Swan Hearts, Snowy Lovebirds, and Red or White paint sessions on Saturday, February 13th and each reservation comes with a free glass of prosecco. Muse Paint Bar in Lynnfield has space in their swinging birds paint night on Sunday, February 14th for their couples paint night as well. 10-The comfort of a familiar Jazz ostinato and perfectly roasted chicken will feel like being wrapped in the perfect intimate hug of a loved one. You can go to Branch Line on Valentine’s Day or you can extend Valentine’s Day and have an evening of Jazz at the Arsenal Center for the Arts and dinner at Branch Line. On Monday, February 15th the Patrice Williamson Group is “Taking Love Easy” and celebrating Ella Fitzgerald and Joe Pass. Then again, if you just want to curl up on the couch together Branch Line now does rotisserie chicken to go and you can pick up a bottle of wine on the way home.